State Representative David Allen Welter, R-Morris, has filed House Bill 3797, legislation to provide $2.6 million to the Village of Coal City for debt incurred for its cleanup and recovery efforts from an EF-3 tornado on June 22, 2015 after state officials chose not to seek federal disaster relief funding from the U.S. government. Even though the tornado resulted in damage to nearly one-third of the village’s total housing stock and required the complete reconstruction of 160 residential structures, the Illinois Emergency Management Agency did not recommend that then-Governor Bruce Rauner pursue federal participation in the relief effort. Due to this failure to act, Coal City was forced to sell alternate revenue bonds in 2015 to raise the funds necessary to reestablish impaired infrastructure, maintain security throughout the response, and renovate impacted neighborhoods. 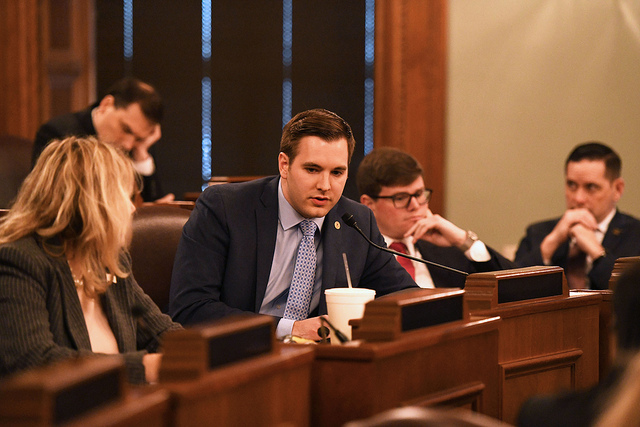 State Representative Lindsay Parkhurst, R-Kankakee, who also represents a portion of southeast Grundy County, added her support for the bill. “Coal City has gone through so much over these last four years rebuilding. It is long past time this funding is approved so residents can get the assistance they deserve,” Parkhurst stated. Representative Parkhurst is a Chief Co-Sponsor of Welter’s legislation. House Bill 3797 will be considered during the ongoing state budget appropriations process this spring. If passed and signed into law, the bill would take effect on July 1. Representative Welter serves the 75th District, which includes portions of Kendall, Grundy, LaSalle and Will Counties.